Contact ConEquip for all of your parts needs. We have many sources of parts for skid steers around the world. A variety of parts suppliers will help us to locate a part near you and get your equipment back up and running quickly. 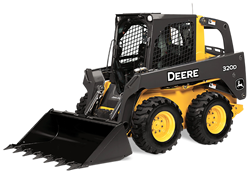 The above list is just a representation of the skid steer brands that we offer. ConEquip has a team of specialist who can locate any aftermarket or used skid steer part. A parts specialist is waiting to help you find what you're looking for!